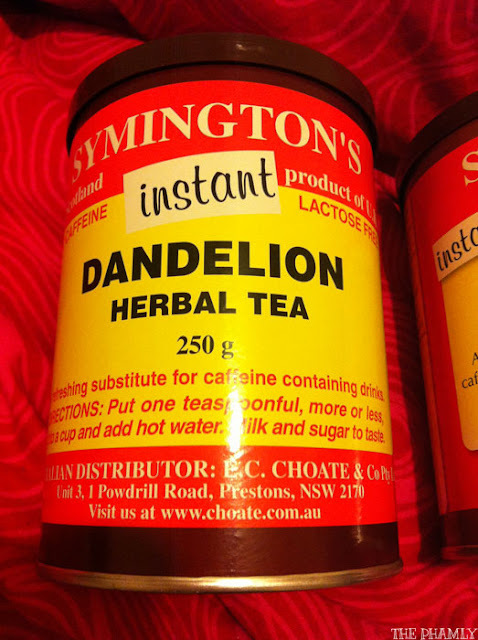 If caffeine turns you into an uptight, highly strung, angry person like it does me, then you may want to try caffeine-free dandelion tea! 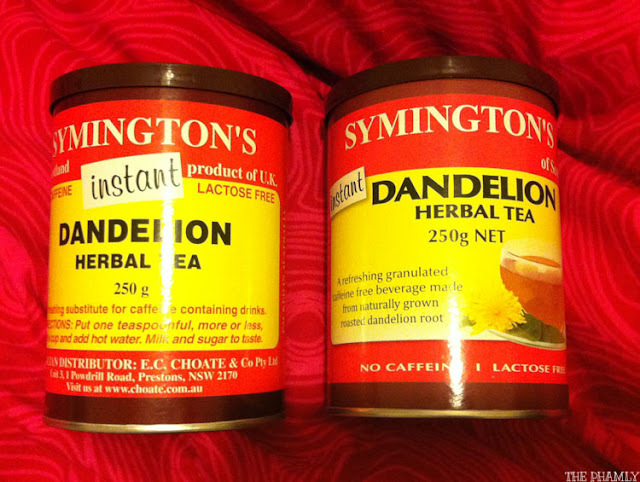 I first learned about Symington's dandelion tea through Mum Pham. It was recommended for her liver so I never drank it because my liver behaves itself. But one day, I got hooked to coffee supporting Tiny, a new café run by a non-related Pham next door to my old work and Juddy Roller café, my friend's joint. When I started to become hulkish without a coffee in the morning, I quit by replacing my flat whites with dandelion tea. Dandelion tea tastes richer than normal black tea and the colour (if you mix enough) looks like coffee so you can trick yourself a little. 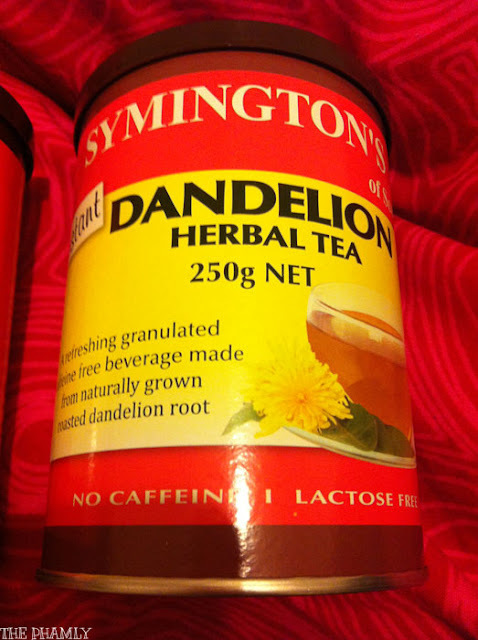 Symington's dandelion tea is naturally sweet so you don’t need to add honey or sugar, but I recommend drinking it with milk or soy. I took photos of both their new and old labels because I still see both stocked in supermarkets - either with other teas or in the health food sections. I'm not sure why they changed their cute retro label to an uglier, literal one but I try not to be angry at them because that's not what coffee-free me is about. Happy 67th birthday, Dad Pham!